Our Workshops for Veterans – and the New VOICES from WAR Logo! Today, we want to use this space to respond to a question in our Comments section. Our response covers topics that might interest other visitors to the Voices from War site. And don’t miss details about our upcoming collaboration “JOURNEYS IN STORIES” at the end of this post! Hi, Thanks for your inquiry and your interest in Voices from War. We are aware of interest outside of our local base in New York City. 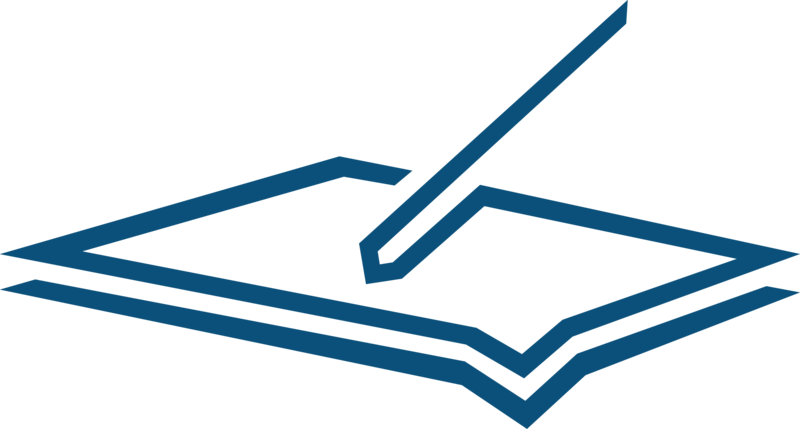 Webinars are one future possibility; another is establishing other workshops in areas with interested veterans and a qualified writer, whom we would train. If you think you have a group of interested participants, please feel free to email — info@voicesfromwar.org — and we will explore possibilities when we have expanded capacity. At the moment, we are only including writing from the Voices from War workshops in our upcoming publication Voices from War, Volume 1. We may offer other publication opportunities in the future. Please sign up to receive occasional newsletter updates and follow the blog. Upcoming blog posts will cover some strategies and information sources for submitting work to other publications, some with a specific interest in veterans’ stories and some more generally looking for good stories (fiction and non-fiction) on a variety of topics — which we know should include stories from war and those who served. Please do keep writing — or just begin if you are new to it. And stay engaged here for tips, suggestions, and updates. Good luck in telling your stories. FEATURING: National Book Award Nominee PHIL KLAY with poet, librettist, playwright, MAURICE DECAUL, poet and educator LAREN MCCLUNG, and essayist (first-hand from Afghanistan) and fiction writer, NATHAN BRADLEY BETHEA. Followed by THE TELLING PROJECT – Don’t miss this incredible ensemble performance by veterans sharing their experiences of war, live on stage. 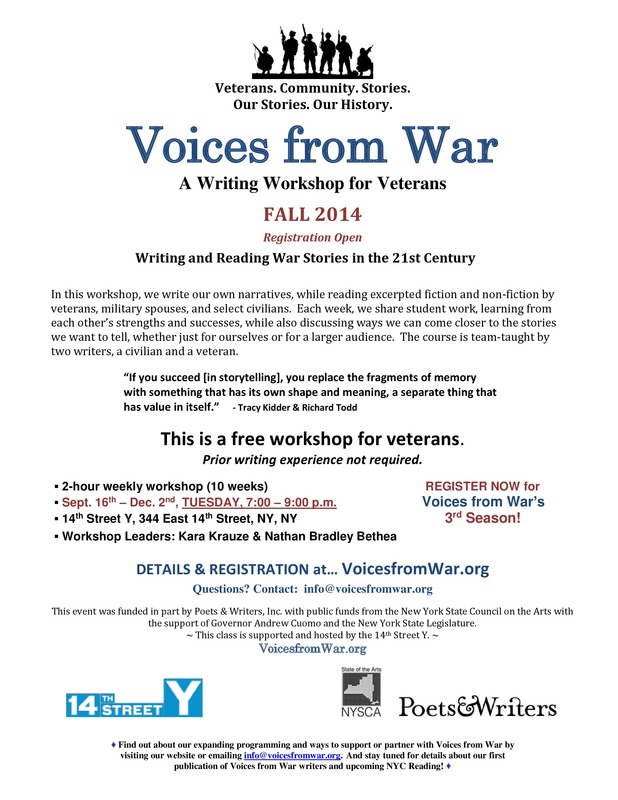 Voices from War’s Writing Workshop for Veterans in NYC – FALL 2014 is running now. Next Class (#4 of Season 3): Oct. 7th.